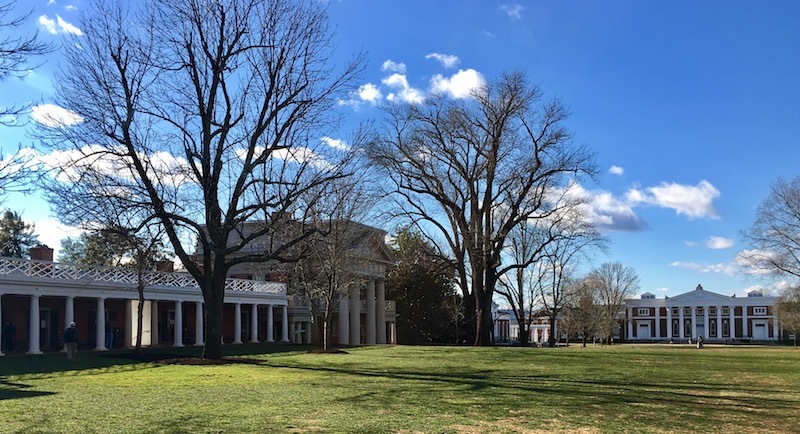 On a sunny but brisk day in February, 2017, I headed to Charlottesville, Virginia, to tour the newly renovated (and utterly gorgeous) University of Virginia Rotunda. 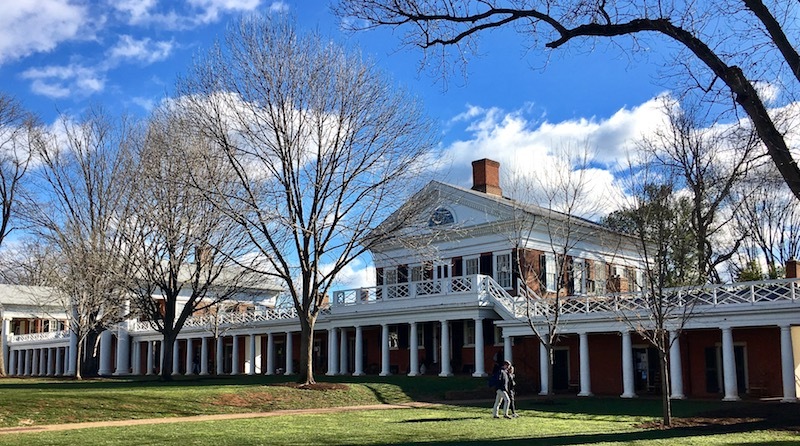 I’ve loved UVA since my grad school days there and spent a pleasant few hours of snapping photos of places near and dear to my heart. 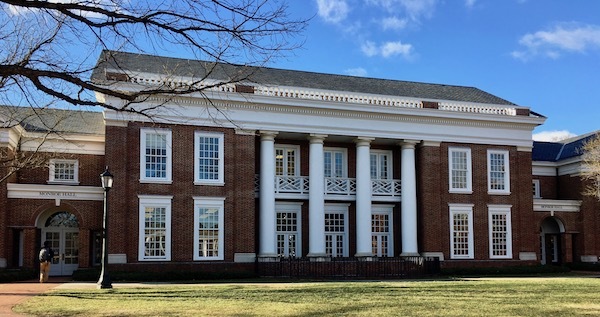 Two of the novels in my Magic of Love series, A Man of Character and A Scandalous Matter, are set in C’ville (as the locals call it), and university spots feature prominently in the action. Just for the fun of it, I’ve included quotes from my books relating to certain pictures. Enjoy! 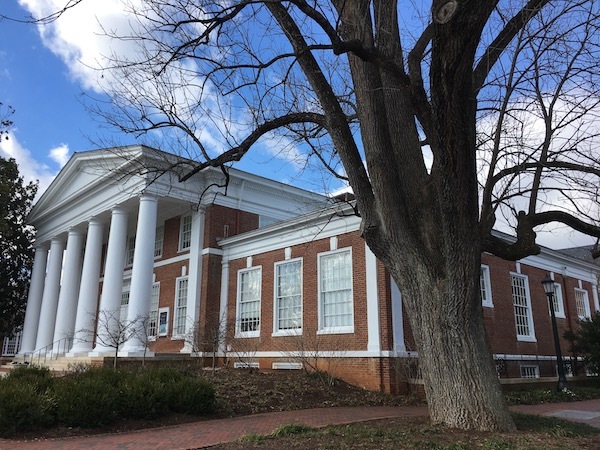 Because of the large number of photos, I’m breaking this up into a series of blog posts, so do come back for interior views of the Rotunda, the UVa Chapel, and Alderman library. 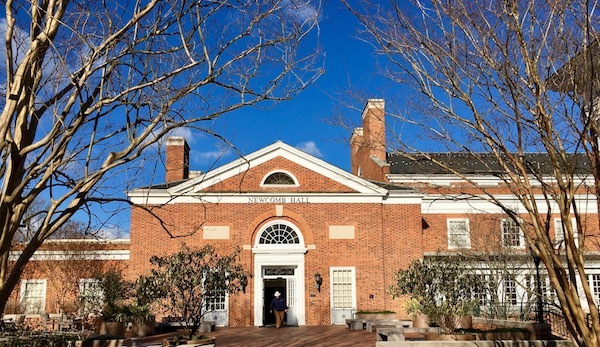 Newcomb Hall – location of The Pav dining services, where my grad school friends and I spent more than a pretty penny on food to fuel our long study sessions. Monroe Hall – I never went in this building, though it’s directly across from Alderman Library. But it’s a great example of the architecture. Another shot showcasing the architecture. Columns abound. As do old, old trees. 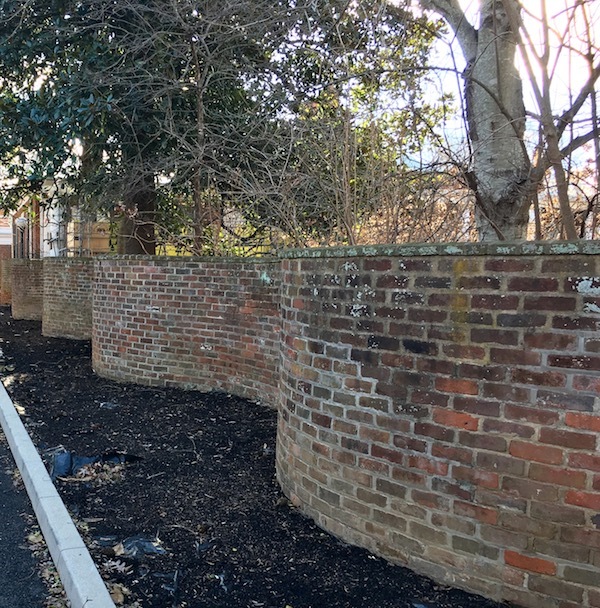 Those instantly recognizable serpentine walls that enclose the delightful gardens along the back of the Academical Village. 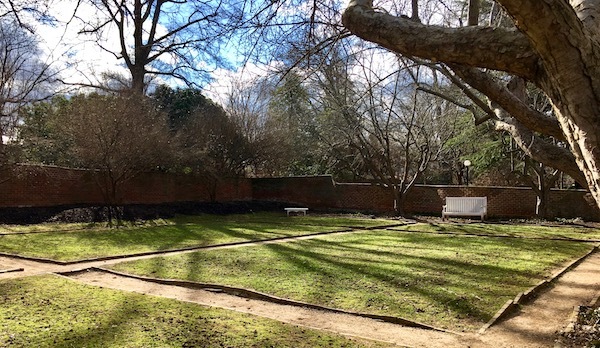 One of the many gardens. 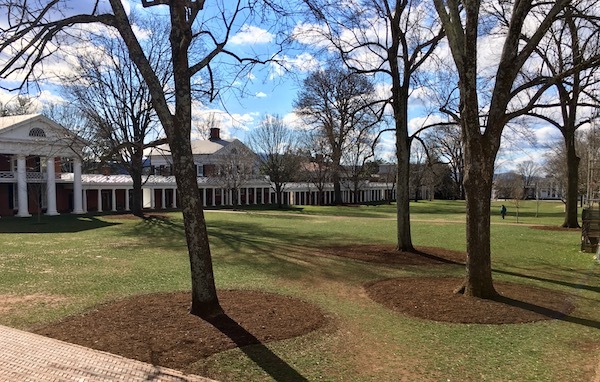 A view of the UVA Lawn looking south (away from the Rotunda). I walked through here nearly every day while in grad school. At the far end is Old Cabell Hall, where I had many of my classes. 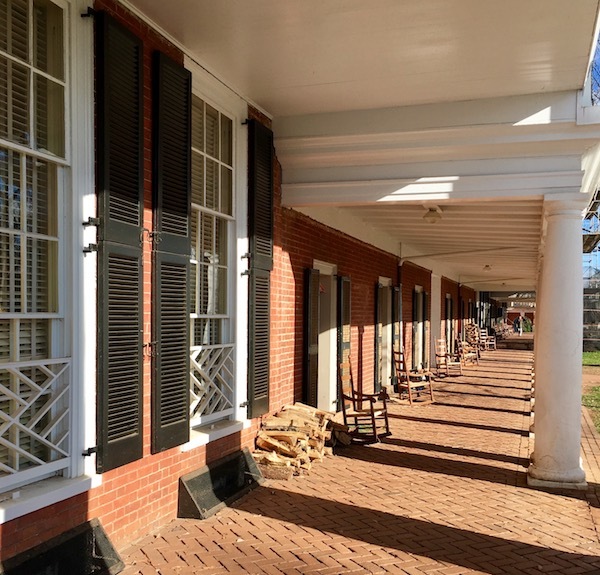 A close-up of the student rooms along the Lawn. I never could decide if I’d want to live in one: on the one hand, they were quite prestigious, and you lived right on that marvelous Lawn. On the other, because they are so old, they do not have central heat (hence the firewood outside the doors, to fuel the fireplaces within). Or a bathroom – you have to walk to communal ones behind the row of rooms. I never had the choice, though; they’re reserved for senior undergrads. Another shot looking south, this time showing the western side of the Lawn. Now looking north – there’s the Rotunda! It was almost strange to see it so open-looking after it’d been under renovation wraps for several years. A 360 degree view of The Lawn. And then it was on to the Rotunda itself…here’s the view of the South Side. 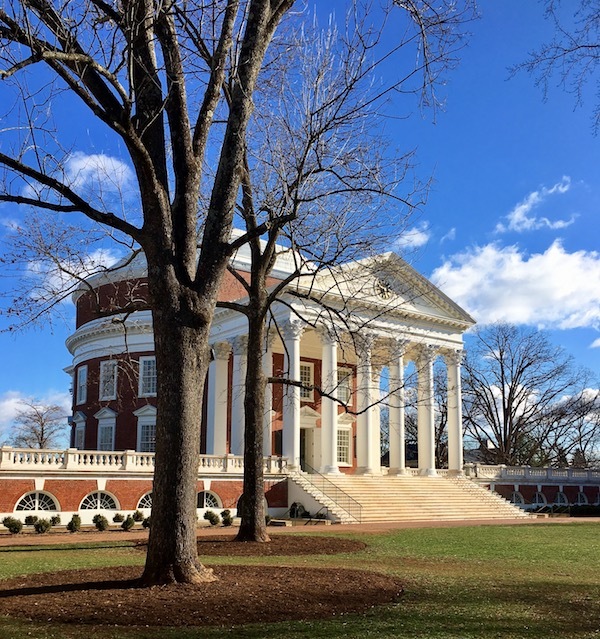 Stay tuned for the next exciting episode: The Rotunda! 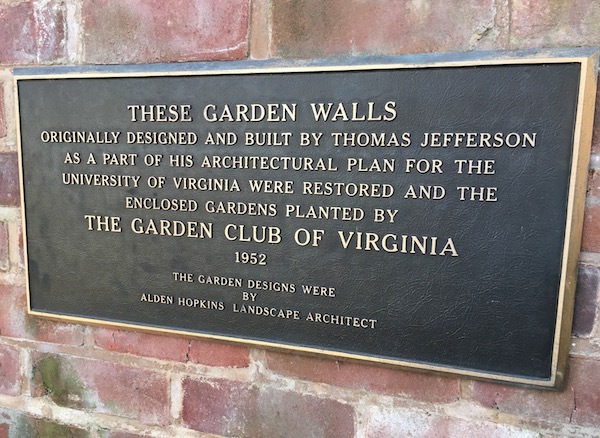 This entry was posted in A Man of Character, A Scandalous Matter, The University of Virginia and tagged A Man of Character, A Scandalous Matter, Academical Village, Jefferson, Newcomb Hall, Old Cabell Hall, Rotunda, The Lawn, University of Virginia, UVA by Margaret. Bookmark the permalink. 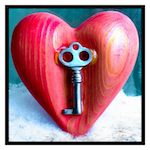 ← Previous Previous post: Writer Wednesday: Meet J. L. Lora!